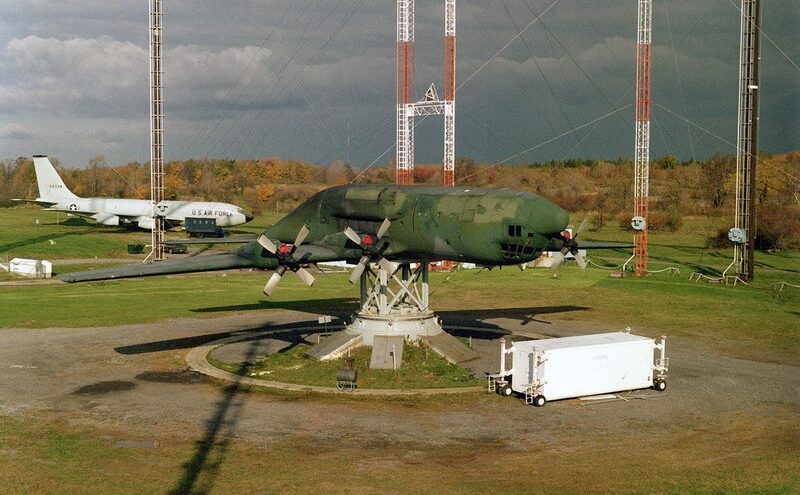 Home Today I Learned US Military Aircraft Upside Down On A Pedestal! Why? The answer is simple. Radar cross-section and electronics pods testing. Radar cross section is the measure of a target’s ability to reflect radar signals in the direction of the radar receiver. Which is why these tests are important. For example, the flat plate has almost no RCS except when aligned directly toward the radar hence the idea for F-117. 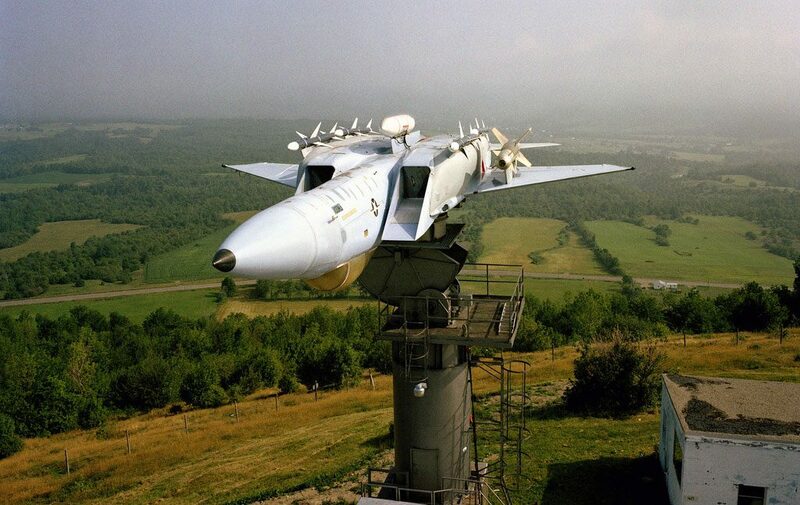 Stealth aircraft, which are designed to have low detectability, will have design features that give it a low RCS such as absorbent paint, flat surfaces, surfaces specifically angled to reflect the signal somewhere other than towards the source. 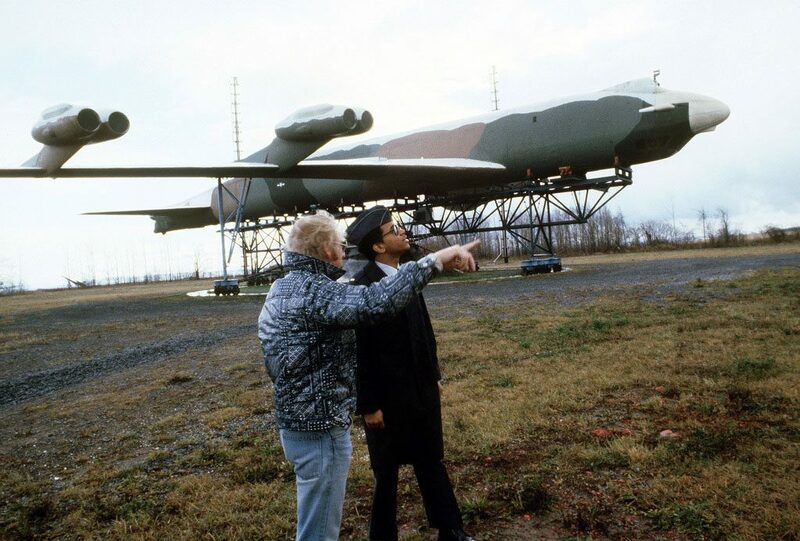 All photos shown here are from Rome Air Development Center which is the US “Air Force ‘superlab’ for command, control, and communications” research and development. 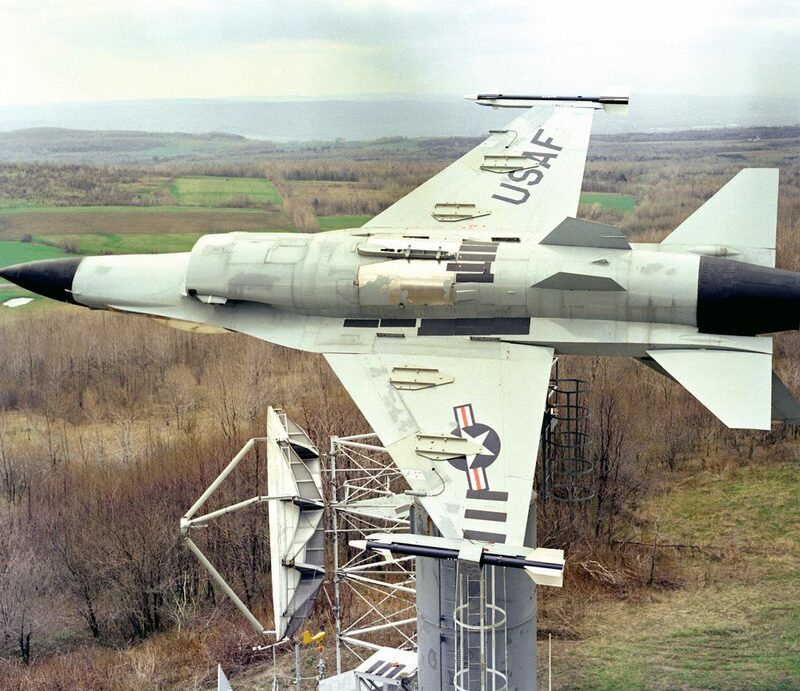 F-15 Eagle inverted on a pedestal at the Rome Air Development Center’s Irish Hill test site. 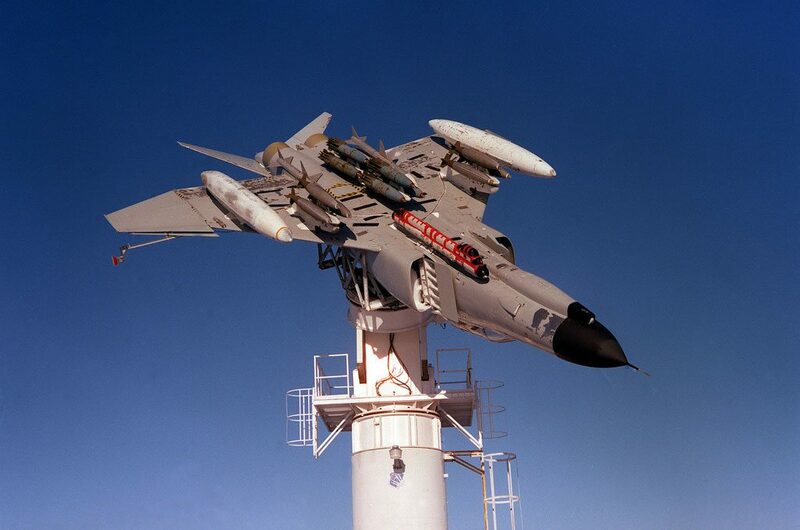 A view of an F-4 Phantom II aircraft mounted upside-down on a test tower at the Antenna Patterns Test Facility at the Newport site. The effectiveness of an AN/ALQ-119 electronic countermeasure pod, attached to the undercarriage of the F-4 is being determined without the aircraft being in flight. 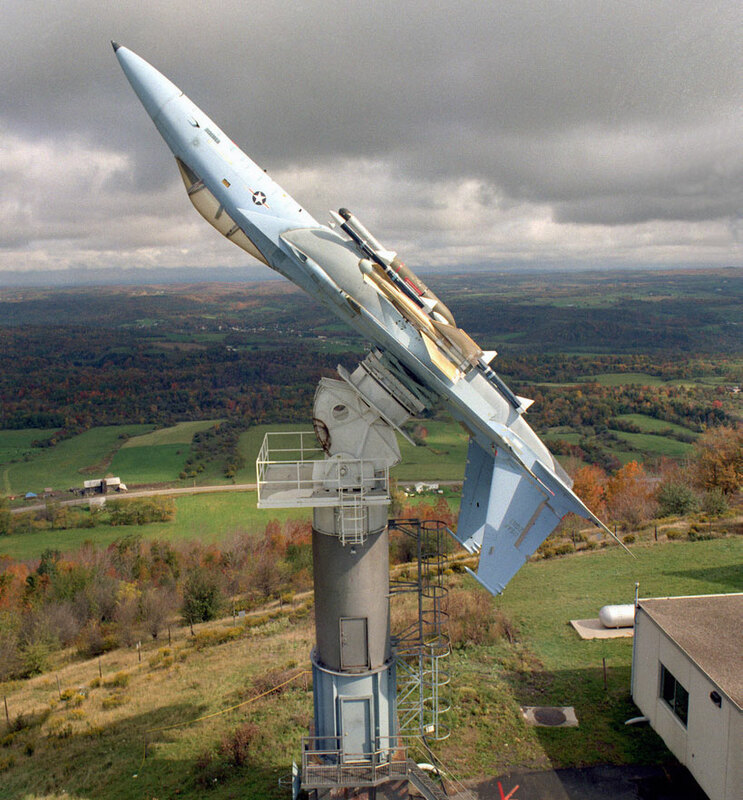 An F-16 Fighting Falcon mounted upside down onto a 30-foot pedestal for evaluation of the ASPJ and ALR-69 antenna systems. 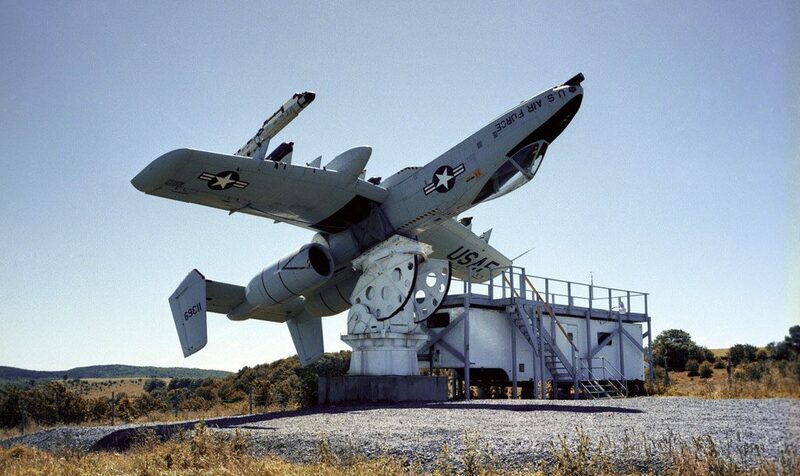 From the positioner, the aircraft can be tested as if it were in flight without the high cost of flight testing. Just FA! – where do you folks find this stuff?